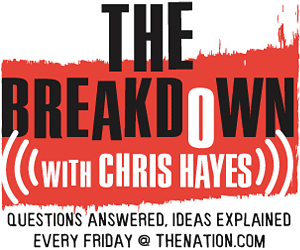 The Breakdown: How Much Will Tax Sweeteners Cost Taxpayers? In the media frenzy over Obama's recent tax deal, few have mentioned the host of tax extenders and sweeteners that will end up costing the country billions of dollars. Obama's recent tax deal has stirred up a media frenzy about the extension of the Bush tax cuts and the new rate for estate taxes, but less-discussed are the host of tax extenders and sweeteners that will end up costing the country billions of dollars. Obama’s recent tax deal has stirred up a media frenzy about the extension of the Bush tax cuts and the new rate for estate taxes. But with all of the outrage and indignation over the compromise, some other aspects of the tax deal have managed to sneak under the public’s radar, despite the possibly devastating effects they could have for the country’s financial well-being. The host of tax extenders and sweeteners that were included in the deal may be less-discussed, but they will end up costing the country billions of dollars. This week, tax reporting expert David Cay Johnston joins The Nation‘s DC Editor Chris Hayes to explain how tax sweeteners work and how they will impact taxpayers. David Cay Johnston‘s articles for The Nation. David Cay Johnston on Democracy Now! discussing his most recent book, Free Lunch. Mother Jones article on tax sweeteners bringing “rebel dems” on board.